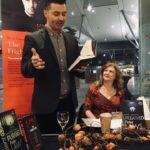 Over the past three weeks, we’ve looked at my Top podcasts for writers, my top podcasts for readers and my top true-crime podcasts. Today I’m going to share my top productivity podcasts. Learn how to choose the right projects, tasks, and goals in work and life. 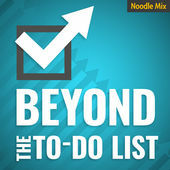 Go Beyond the To-Do List! This show will help you do that with conversations with the people behind the productivity. We talk with people on all aspects of productivity, including getting the right work done, getting good work done, and the true end goal of productivity: living a meaningful life. Erik Fisher talks with real people who practically implement productivity strategies in their professional and personal lives. You’ll be refreshed and inspired after hearing how others fail and succeed at daily productivity and be inspired and instructed on how to move forward yourself. Welcome to The Productivity Princess Podcast. 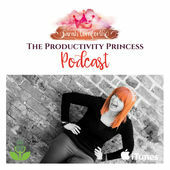 I’m Sarah, The Productivity Princess and I just love helping creative and work from home entrepreneurs get organised, get in control and get their lives back! One of my biggest pet peeves is wasting time. I just hate it. In fact, it’s one of the reasons why my obsession with productivity began in the first place. So let’s not dilly-dally any longer. Jump in and enjoy! 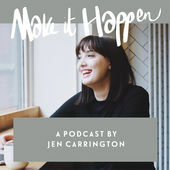 Make It Happen is a podcast for big-hearted creatives who are ready to build an impactful, fulfilling, and sustainable creative life. Brought to you by Jen Carrington, a creative coach, this podcast is for you if you’re ready to make things happen in your creative work and life on your own terms, in your own way, and by your own rules every step of the way. 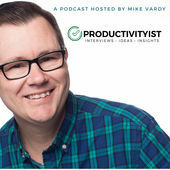 Hosted by productivity strategist Mike Vardy, The Productivityist Podcast is a weekly show that discusses tips, tools, tactics, and tricks that are designed to help you take your productivity, time management, goals, to do lists, habits, and workflow to new heights – both at work and at home. If you’re looking to focus your efforts on getting the right things done and start living the good life, then this weekly conversational podcast – crafted in the tradition of Slate’s Working, Back to Work, and HBR IdeaCast – is for you. 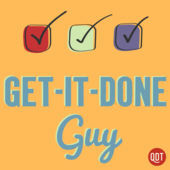 Our GTD podcasts are here to support you at every stage of your GTD practice. 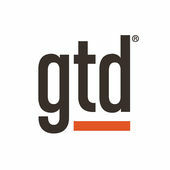 You will hear interviews with people from all walks of life about their journey with GTD, from beginners to those who have been at it for years. 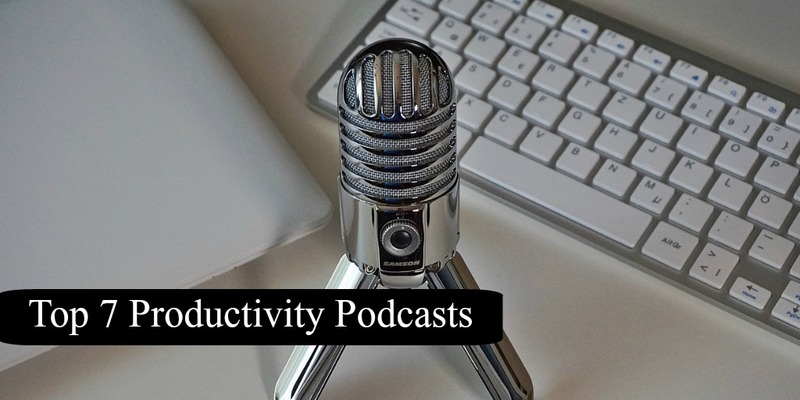 The podcasts include personal and professional stories, as well as practical tips about GTD systems for desktop and mobile, using apps and paper. Start listening now and you’ll be well on your way to stress-free productivity. Want to work smarter, not harder? Here’s how to do it. Join Stever Robbins, author of “Get-It-Done Guy’s 9 Steps to Work Less and Do More,” each week as he provides inventive productivity and organization tips to transform even the most overwhelmed person into an overachiever. Are you buried in email? Stever will tell you how to dig your way out. Is technology holding you captive? Stever will help you evaluate your devices and only use the ones that actually help you get stuff done. 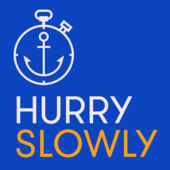 Hurry Slowly is a show about how you can be more productive, creative, and resilient through the simple act of slowing down. Through in-depth interviews with deep thinkers, artists, and entrepreneurs, host Jocelyn K. Glei sparks new ideas for navigating work and life at a more sustainable pace. Does your productivity need a boost? Do you think any of these will help? Do you have any to add? Let me know in the comments and if you add any then they may make it on a future listing as I’ve found some interesting podcasts from suggestions given after the previous three posts. 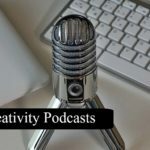 Next week I’ll look at creativity podcasts. Thanks for sharing these, Rebecca. I love it that modern technology has allowed us to learn from each other with podcasts. These sound really useful, too.